Through direct ownership of all logistics, we are able to control the entire product cycle. Furthermore, we strictly adhere to all EU quality and safety regulations. 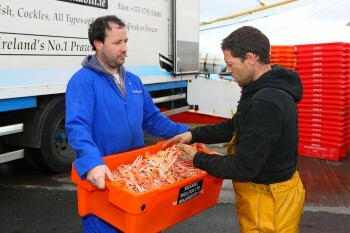 This allows us to guarantee our high quality “from the sea bed to the supermarket shelf”. In fact, in a recent independent review of the best practices of fish and shellfish producers, Rockabill was ranked number one, clearly positioning the company as a World Class leader in our sector.